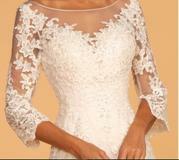 REG $898... Take $100 OFF for limited time....LOVELY Lace fit n flair 3/4 sleeve wedding gown . 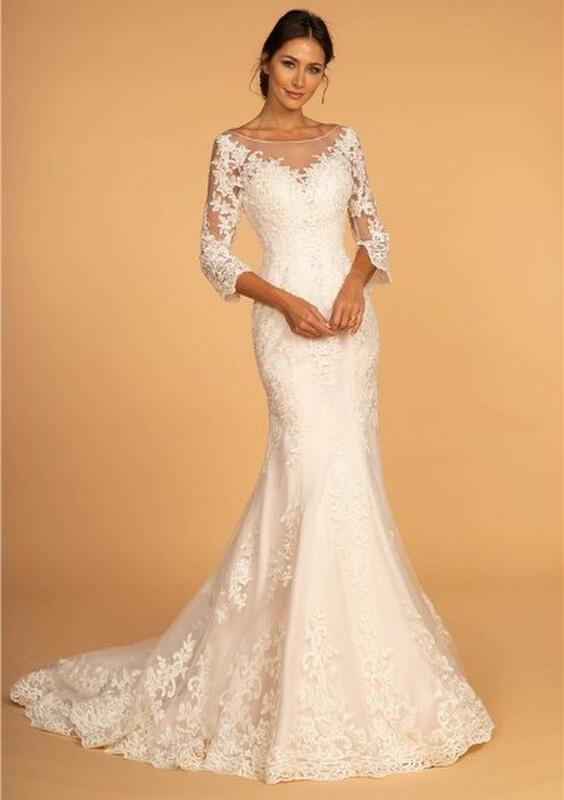 Has illusion neckline and sleeve with open V Back with chapel train. Quick delivery may be available. Measure carefully and use size chart to determine correct size. The dress runs smaller then street clothes. Contact us for more info or help.